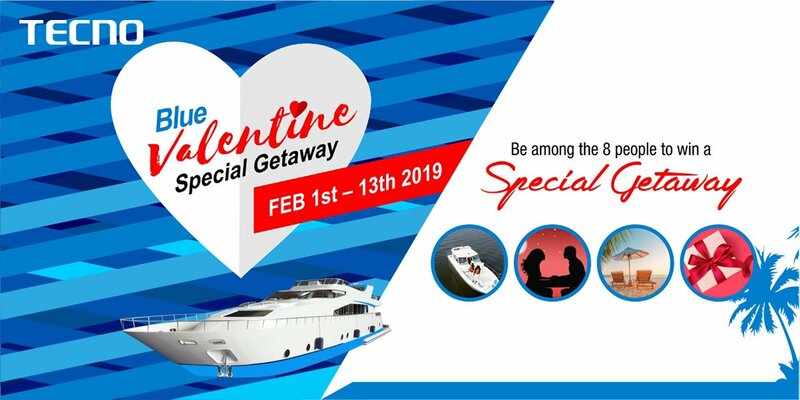 The Activity runs from 1st February – 13th February 2019... so hurry! Valentine is here again, and this time TECNO Mobile is DARING you to show love for your loved ones in a special way. 1. Visit any of our exclusives stores nationwide, buy TECNO Camon 11, win an instant gift and get a raffle ticket. 2. Winners (couple) will be picked in a raffle draw, they stand a chance to win an Exotic weekend gateway. The day for this raffle draw will be properly communicated.